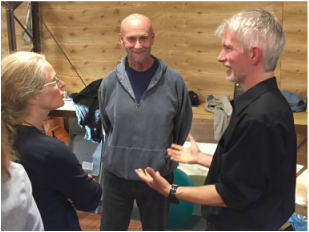 Margit here with a brief report from our recent two-day retreat with Waking Down founders Saniel Bonder and Linda Groves-Bonder. Note: If you want to see the original event announcement, keep scrolling down, below the photo collage! 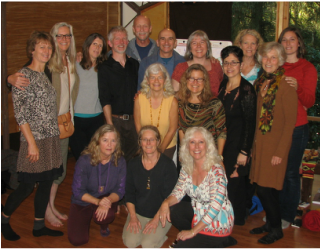 On a deliciously clear and crisp fall weekend, thirteen members of our Olympia WD community plus a practitioner from Seattle and another from Portland, OR, joined together with Saniel and Linda for two days of exploration, contemplation, and embodiment. Both mornings started off with presentations by Saniel on the origin of this work from the perspective of what is meant by "heart," and current evolutionary stages of his experience and understanding of embodied awakening. 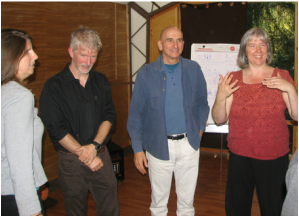 Over the course of the two days, with Saniel and Linda's support, each of the 15 participants had individual time to explore their edges of development. 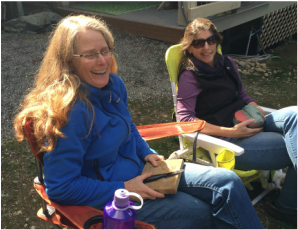 In the profound presence of the gathered participants, we attended one another as we leaned into and integrated tender and sometimes subtle experiences. We also danced on the wood floor, ate lunch outdoors near the dahlia garden, laughed, cried, hugged, and played air guitar. The workshop was held in Kirstin and Jens Eventyr's beautiful loft-studio of their "Barn." Jens had finished building this incredible structure only a few weeks prior...( just in time). 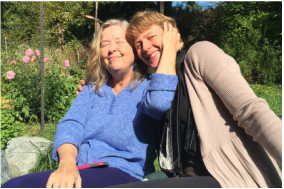 We felt very honored that the Barn's inaugural WD event was with the founders of this amazing work - how auspicious is that?! 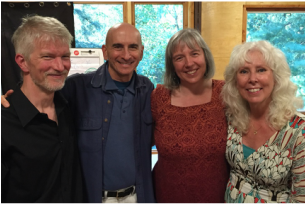 Thank you, Saniel and Linda, for traveling all the way to Olympia and sharing your hearts, wisdom, and presence with us. And thank you, Kirstin, for organizing this very special event, and Jens, for building such a beautiful space for our collective journey. To be human is to live the paradox of being simultaneously finite physical matter and limitless spirit and everything energetic and psychic "in between." This weekend intensive retreat with Saniel and Linda Ma will take us each and all together more deeply into that essence of the human mystery, and how it is in fact always showing up in ourselves, our day-to-day relationships, and the wider context of society. 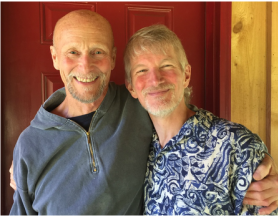 These two adept teachers have spent many years helping hundreds of people integrate the "infinitely distant yet infinitely intimate" Heart of our existence into a more whole, seamless, joyful, empowered and ecstatic everyday life. We invite you to show up just as you are — activated, triggered, or worn out; moved, inspired, overjoyed; or all of the above at once. We encourage you to step forward in your individual experience and expression so you can take your next steps inward and outward into the world, in both your aloneness and your unique contexts of mutuality. This year Saniel and Linda Ma are bringing forward their unique White-Hot Yoga of the Heart® offering in new, expansive ways. 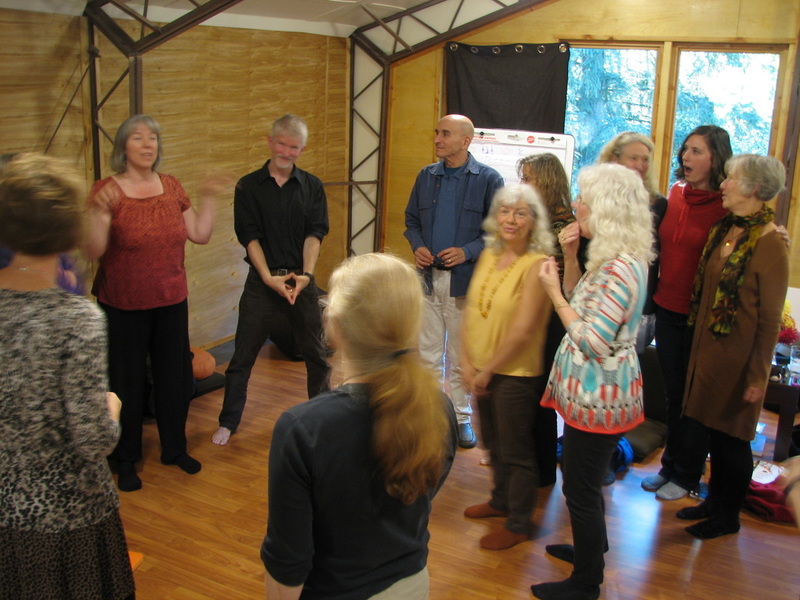 Part of what they'll help us understand for our own benefit is how this Yoga is principally a different kind of cultural orientation from what we've generally known in Waking Down® -- while at the same time it completely honors, builds upon, and depends on our personal and shared depth of well-informed Waking Down practice. So, what you'll learn will illumine and enrich your Waking Down process. 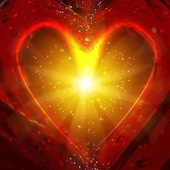 And that will be a great gift regardless of whether you ever choose to more fully explore The White-Hot Yoga of the Heart. This is an event both for you and for all of us, together, who attend. 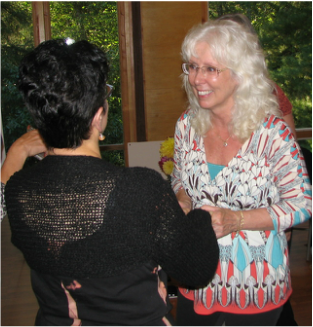 Come to experience Saniel and Linda Ma's seasoned wisdom and Heart-transmission! 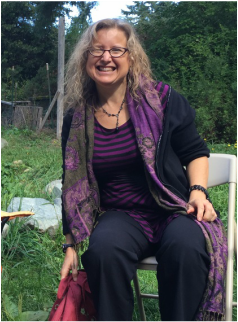 This retreat promises to be an evocative, liberating and delicious journey that opens our hearts, refines our discernment, clarifies our consciousness, and transports us whole bodily into new dimensions of mutuality -- the "we" of us. Times: sessions will be available between the hours of 10-3 with an hour long lunch break somewhere in there. Both Saniel and Linda are willing to do a sliding scale, so if people feel called to have session time with them but are challenged by the stated fee, they should contact them directly and offer what they most generously and yet responsibly can afford. Please PayPal to saniel@sanielandlinda.com or bring cash or check (made out to Human Sun Institute) to your session. Preference is for sessions to be prepaid by PayPal upon booking with the teacher. 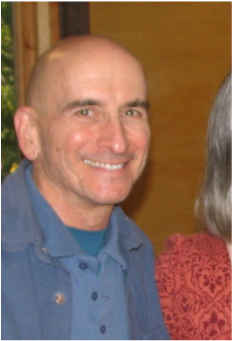 Saniel Bonder is the author of Healing the Spirit/Matter Splitand the founder of the Waking Down® work. He has been a pioneer in the widespread embodiment and mutual, evolutionary exploration of awakened consciousness for over a decade. 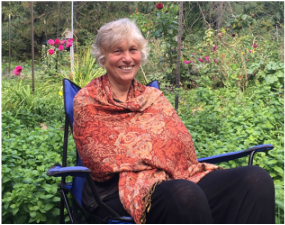 Linda Groves-Bonder is Saniel’s full partner in The White-Hot Yoga of the Heart transmission and teachings and a Founding Teacher of the Waking Down® work. 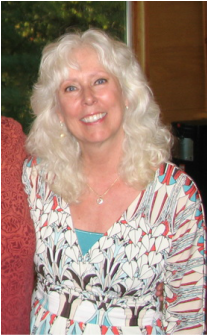 One of Linda’s primary spiritual archetypes is Quan Yin, the Chinese goddess of compassion. 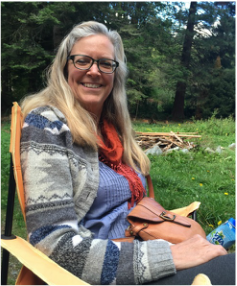 In the Waking Down community she is known by the sobriquet "Linda-Ma" to honor her immense compassion for all creatures and all Life. 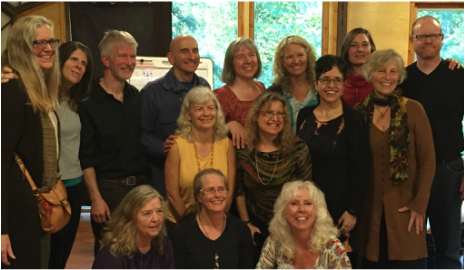 Linda and Saniel are founders of the Human Sun Institute, founding members of the Integral Institute, and charter members of the Integral Spiritual Center.